After a long break, I'm finally picking things up again with my Australia trip! 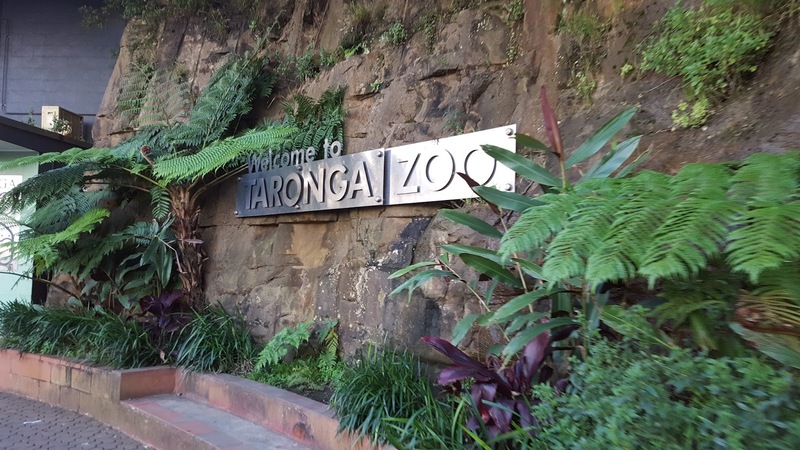 Today, I'm sharing all about our trip to Sydney's incredible Taronga Zoo! The Taronga Zoo wasn't high on my list of things to see in Sydney, but it was pretty high on The Pilot's, so, on our third day in Sydney, after an easy morning run and a late breakfast, we made out way to the CBD, hopped on a ferry from Circular Quay, and headed to the Taronga Zoo. I said this in my last post about Sydney, but the trip to the zoo is worth it for the ferry trip alone! It felt absolutely surreal to be in the middle of Sydney Harbor with the Opera House and the Harbor Bridge floating away in the distance as sail boats glided past us. Entrance to the zoo is pretty expensive. We paid about $90 AUS for both of us. Discounted tickets are available online but I had a hard time buying anything online from Sydney as I kept getting an error message that my email address was invalid. When we got to the Zoo, there were signs pointing left for the Skyway and right for tickets. We bought our tickets and then proceeded directly into the zoo, not realizing that the zoo is built deep into the side of a mountain hill (it felt like a mountain) and we had to make our way up the steep climb to see all of the animals. If we had taken the Skyway, we would have started at the top, and eased our way down. Anyway, we started with the most playful seals I have ever seen. They were so cute darting back and forth in the water and jumping out of the water. Next, we saw a baby bear climbing around. Then, we saw a peacock just wandering around the zoo. This was not a zoo animal. He was just strutting around while a bunch of children ran after him trying to yank out his feathers. Next up, we finally made it to the kangaroos! I was ecstatic because I have never seen a kangaroo and I couldn't get over how strangely they walk. They look like robots! I was all about the Australian animals at the Taronga Zoo and after marveling at the kangaroos for half an hour, I was ready to see the koalas! We saw a few koalas and they were pretty hard to see. I was pretty disappointed thinking these were the only koalas at the zoo, until I realized, that these were only a few of the zoo's koalas. We walked through the "Walkabout" where there were emus and wallabies just hanging out, and it was so exciting! My neighbor growing up had emus and, while they were horribly mean, I was fascinated by them and their gorgeous eggs! Once we left the Walkabout, we found ourselves in the koala area are just in time for a feeding! 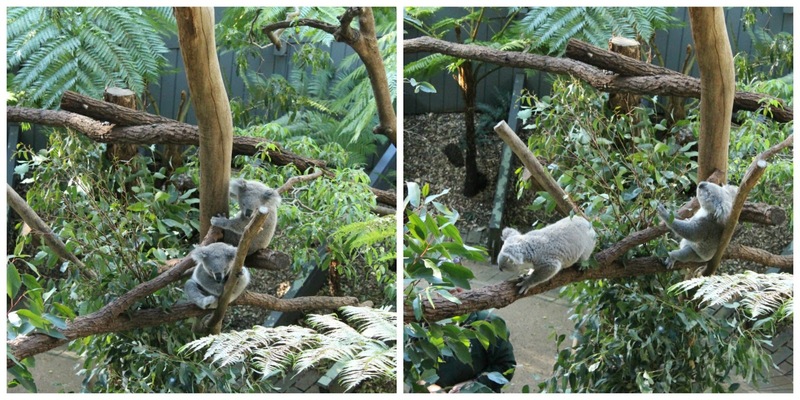 Oh my gosh, the koalas were so stinking cute and I want one. We learned all about koalas and how they are basically the laziest creatures on earth and sleep for all but about 40 minutes a day. 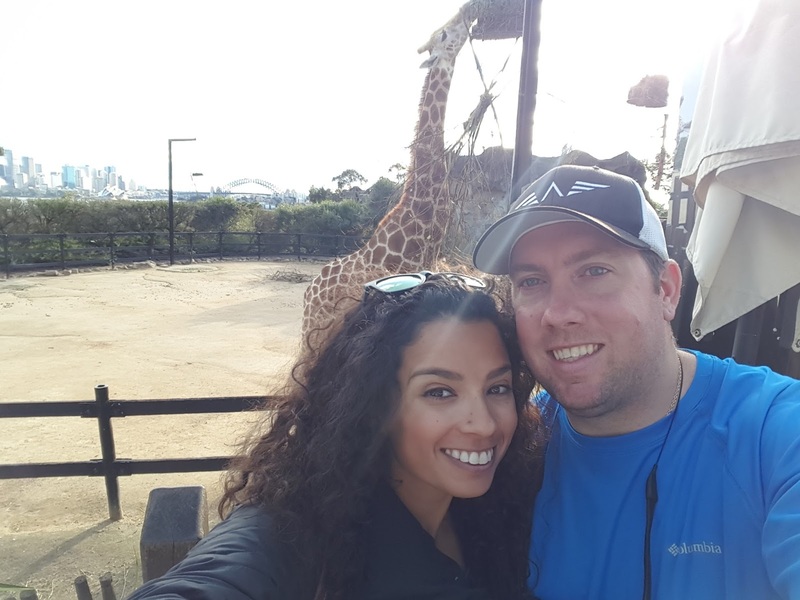 After The Pilot dragged me away from the koala exhibit, we started to make our way out but stopped to visit the giraffes first. The Taronga Zoo giraffes have the most incredible view in all of Sydney. Just look at this? Giraffes were my favorite animal growing up (and then penguins, and now koalas), and I still love them and it was so funny to see them against the backdrop of the Sydney Harbor! After visiting with the giraffes, it was time to take the Skyway back down to the bottom of the zoo and the ferry back to Sydney. 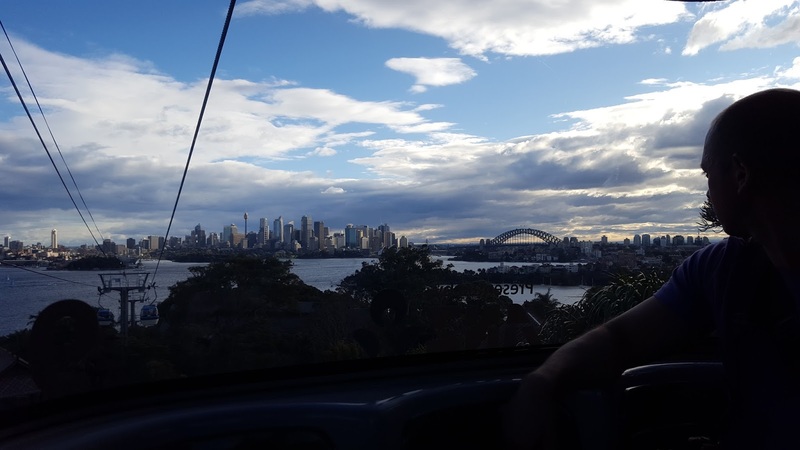 I mentioned in my last post about Sydney that the Taronga Zoo was worth the trip for the views alone and the Skyway absolutely proved that! There you have it! If you find yourself in Sydney, I highly recommend a trip to the Taronga Zoo! 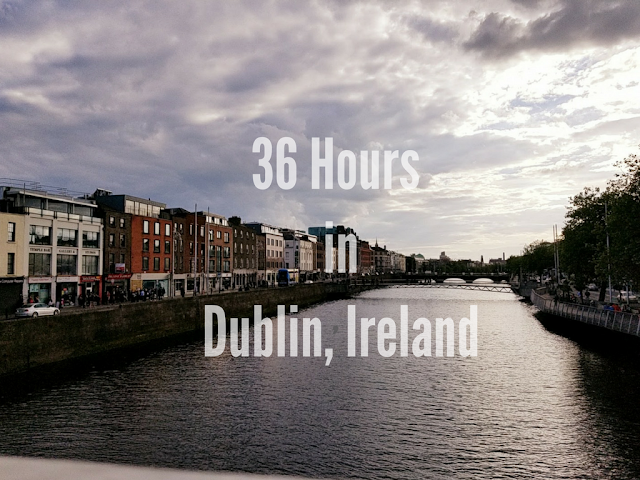 It was a great trip for an afternoon and a definite highlight of our trip!